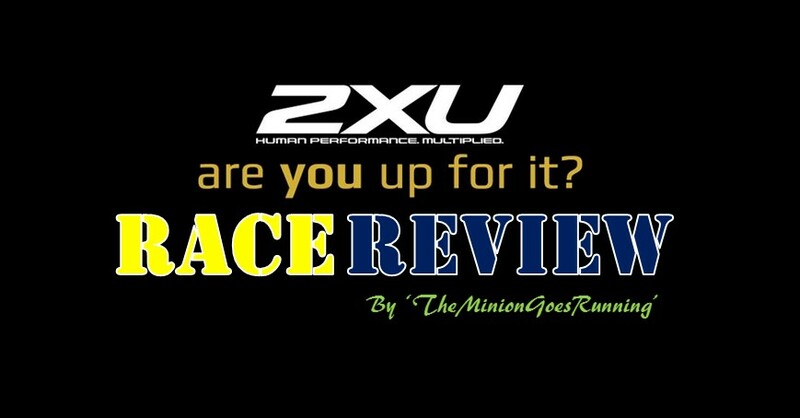 Race Review: 2XU Compression Run [21km] (by TheMinionGoesRunning) | JustRunLah! This race was supposed to be held in March. However, due to national mourning week, Pink Apple (organiser of 2XU Compression Run) decided to postpone it to 2 August. The organisers could have just cancelled the event as all races would state in their terms and conditions: “The organiser reserves the right to cancel the event due to unforeseen circumstances”, however, they didn’t. They decided to postpone the race instead for the benefit of the runners. Many arrangements were made to accommodate the changes, such as collection of finisher tees for runners that are unable to make it on 2 Aug, the refund of bus tickets, finding a new venue and planning a new route within such a short period etc. The venue of the race village yesterday wasn’t that convenient too, as it was a short walking distance from Marina Barrage. However, that was not much grumble from most runners as most understand how difficult to re-organise the race. Flagged-off punctually at 4.30am for the 21km category. I would say that the route was rather narrow for the first 3km of the run, and that kind of slow down the traffic at the start. Turned into East Coast Park after Fort Road, which is the usual route for Sundown or Standard Chartered Marathon 42km. Plenty of water points throughout the whole ECP area. The perk of starting the race early- if you managed to cross the finishing line before 7am, you will get to witness the beautiful sunrise near the barrage area. 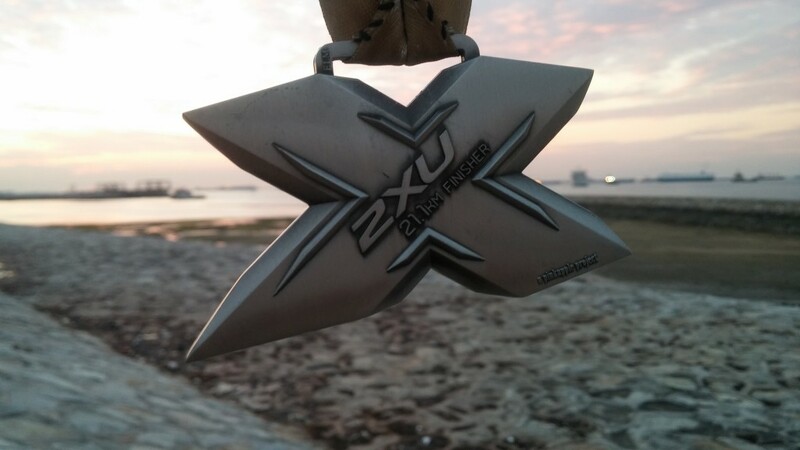 🙂 Sitting by the coastal area with the finisher medal in your hand, enjoying the sunrise and sea breeze- most wonderful experience ever. This year’s 2XU Compression Run basically sums up the struggles and experiences of a runner- there could be times that you miss trainings due to unforeseen circumstances (sick, bad body conditions, weather etc), but as long as you preserve, continue to work hard, you will get to experience the final victory. Cos every running experience is bitter sweet. 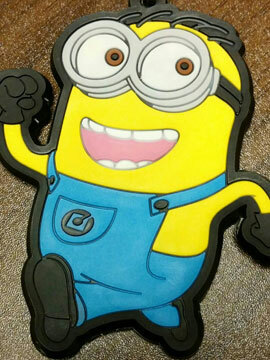 Theminiongoesrunning is right, somehow no matter how well a running event is organize, there are still bound to have complaints. Complaining is cheap, but many do not know that there are plenty of work behind organizing event of such scale. I do think organizer is grace to postpone the event rather than to cancel it. Also this run is fantastic, with plenty of water points. The route is not that bad as some may have complained, there are some worse ones. I am always grateful to the organizers, sponsors to make the event possible. I am even more grateful to those volunteers that volunteer themselves to help. Can you imagine waking up in the wee hours just to do volunteering work? A big thank you to all volunteers, no matter which area of work you volunteer yourselves to be in..